Why does LED SIGN look unclear? 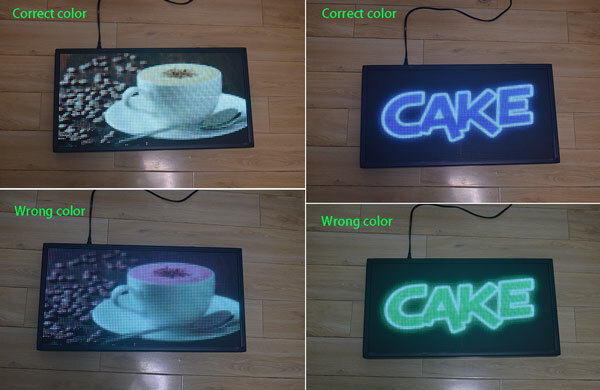 Some buyers will complain that the led sign bought is not clear, and the LEDs are very clear, which destroys the beauty of the picture. Look at the picture, the original picture is like this, the actual display is like this. This problem is related to the distance between the led sign pixels, and the smaller the distance, the clearer. It is also related to the viewing distance, and the farther the distance is, the clearer it is. 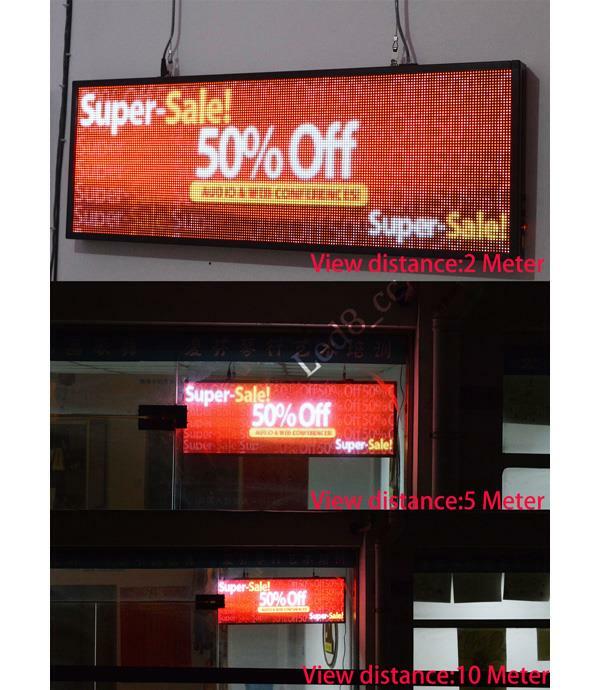 In the store for led sign product, if you use a small distance product, it will effectively improve the graininess. If you use P3, P2 LED modules, It has a good viewing effect at a distance of 5 meters. For the P3 product, because it requires too many LEDs, the cost is very high, and the price of the 39inx14in size will exceed $900. The pixel distance is small, there will be another problem. Because there are too many LEDs in a small area, many drivers are needed, they will emit a lot of heat. In order to solve the problem of heat dissipation and power supply, the brightness of the LED is Will be lowered. Generally used only for indoor use. The viewing distance of the P4 module is about 7 meters, and the viewing distance of the P5 is about 10 meters. The person standing outside 10 meters, the P5 module cannot see the led particles. However, if standing in front of the LED display and the viewing distance is less than 1 meter, the P2 LED also has a grainy feel. 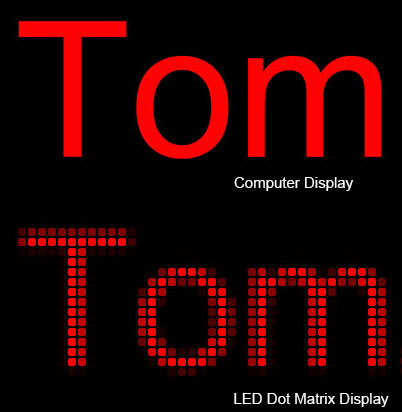 Buyers need to understand the viewing distance of LEDs when purchasing LED signs and have appropriate choices for the pixel spacing of LED signs. Thank you for buying our LED sign! The user note is for SIFI05P19264-HD, SIFI05P19264C-HD, SIFI05H19264. The note is for buyers who purchased after September 8, 2018. Before you use it, some notes need to know. 1. We have sent a program to the LED sign, so after you power on, waiting 15 seconds, it will show Ad. 2. The sign boot time about 15 seconds, please Wait patiently, during this period, the sign is no show anything. 3. The sign input power is AC 110/220v, available in most countries. 4. Uploading message/images, please use the USB thumb drive, the item package contains an 8G thumb drive, Please look carefully, it is possible at the bottom of the box. 5. We recommended hang mode to mount sign, the item package also contains accessories required for the mount. 6. How to make the contents of the display, please read the manual/tutorial. 7. Software and Guide/manual/tutorial are here, you also can scan the QR code to get the download link. This is a new store sign,27x14in(LxH). It is showing ads for backpacks, red, and blue. The line of words on the picture is the product name. Promotion now, if you are not satisfied within 30 days, you can return it. This is a cigarette store sign, one cigarette thumb icon on right, the left is the scrolling word. scroll speed is 1 second. Clearly visible text 10 meters away. Due to the wrong configuration when upgrading the control system, some products are distorted in color, please see the sample picture. The left welcome image below is in the factory program, the color is wrong. The blue word “CAKE” is displayed in green and the color of the coffee cup changes from brown to purple. Don’t worry, you can fix this bug yourself, just import the correct parameters into the sign, just need to operate once. Just 3 steps to correct the configuration. 1. Format your USB flash drive(u disk), select fat32 file system. 2. Download the config file, unzip it, and copy the folder named HDPlayerUsbExport to u disk. Note: Copy the folder “HDPlayerUsbExport” and the files inside. 3. Plug in first, then turns on the power, wait for the screen color to adjust and then pull it out. How to connect LED Sign to WiFi Router-Any computer in the LAN can send a program to LED sign. zhg803 on How to setup LEDGO software?